MOTA, maker of innovative high-tech products, unveiled its next line of wearable technology that would compliment functionalities of your smartphone--the MOTA Smart Ring. The announcement was done on Monday, September 1st, ahead of the IFA 2014 event in Berlin. 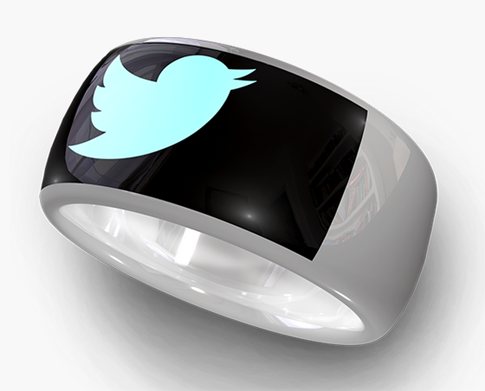 The SmartRing will become the extension of your Android or iOS smartphone. The accessory's main function revolves around notifying its users of new messages, notifications, time and whatnot. It will display how many notifications you received in text form and nothing more. We haven't seen this small piece of technology in action yet so we cannot evaluate how useful it can be. What's apparent right now is the comfort it brings as you don't need to pull your phone out of your pocket or purse just to check if someone sent you’re a text or email message, or responded to your status in Facebook, etc. The company didn't disclose the system the SmartRing will run on but an app is said to be responsible in making sure it works flawlessly with Android and iOS. We don't also have idea what wireless technology it will use to connect to your smartphone, although there is a big chance it's Bluetooth. If you're going to Berlin for the IFA event later this week, you may have a chance to try MOTA SmartRing. It is expected that more information will be made available after the event. If you're into technology that compliments your lifestyle, this smart ring will be a perfect addition to your collection.